The new Sealy Hybrid Mattress line takes Posturepedic Technology™ to the next level! Memory foam + inner springs gives you the exact targeted support you need. 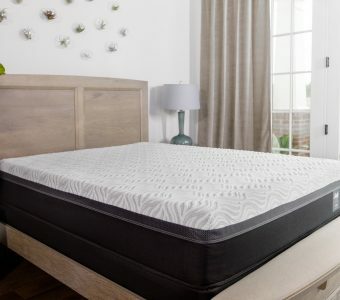 Sealy Posturepedic Hybrid Premium Gold Chill Ultra Plush Mattress is a hybrid innerspring coil and memory foam mattress rated at a 70 on the Comfort Scale. 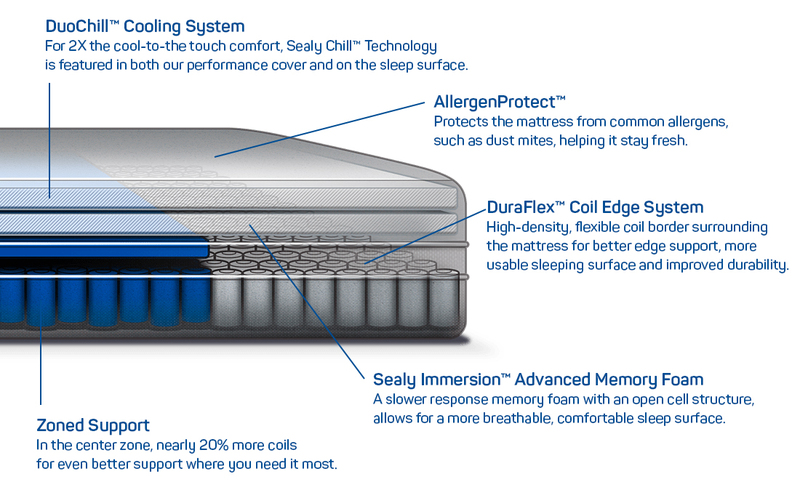 The Silver Chill Firm Mattress is from the Sealy Premium™ Collection in The Searly Hybrid™ Line. 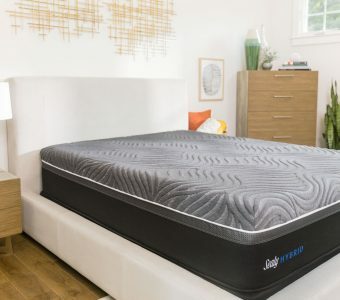 The Sealy Hybrid™ Line mattresses pair the responsive support of an innerspring with the body-conforming comfort of memory foam, for the best features of both. 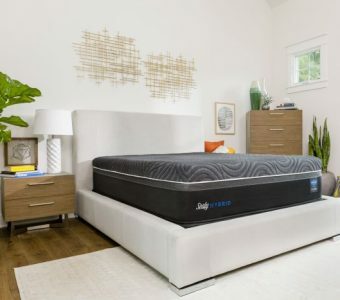 This 14 inch plush mattress, is made by Sealy to provide exceptional full-body support. 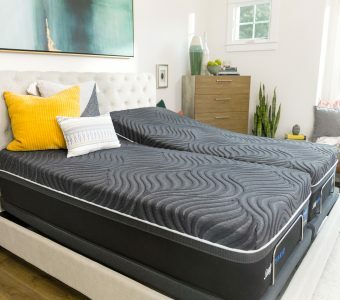 It includes Sealy’s exclusive Posturepedic Technology™ that targets the heaviest part of your body, with reinforced support where you need it most. This Sealy Posturepedic Kelburn mattress comes in a Cushion Firm softness level which is one step above the Firm. 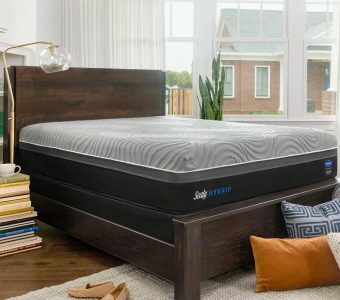 This 12.5" tall mattress provides an ideal sleeping surface for side sleepers, back sleepers, and stomach sleepers thanks to its body contouring design. 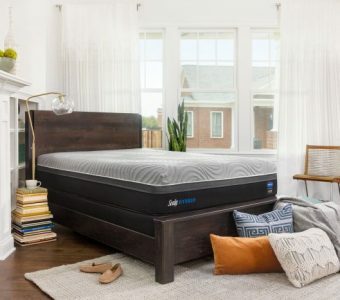 The Sealy Performance Hybrid Copper II Chill Firm mattress design starts with the Sealy Posturepedic® technology zoned support for better support where you need it most. 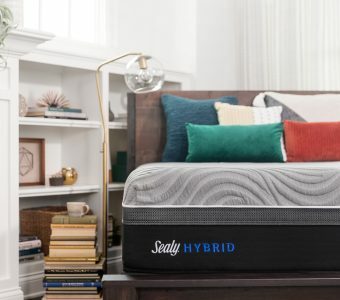 Sealy Hybrid Essentials Trust II Mattress is a hybrid innerspring coil and memory foam mattress rated at a 20 on the Comfort Scale. The Response Pro Encased Coil System and DuraFlex Edge provide firm support, edge to edge.